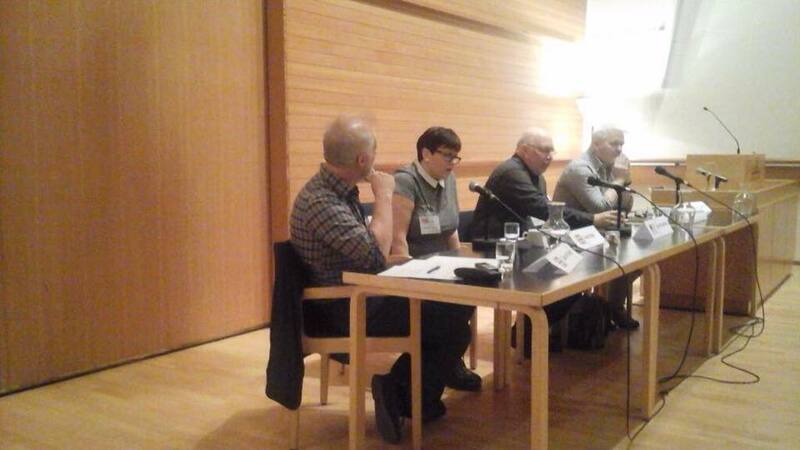 My last post gave an overview of the panels from the first full day of Iceland Noir. As I didn’t manage to make all of the discussions on Saturday I thought I’d use this post to round up the highlights of the rest of the event. One panel that I did manage to make was my own at 9am. Moderated by Quentin Bates it also featured debut authors David Swatling, originally from the US and now living in Amsterdam and Icelander, Sverrir Berg Steinarsson. We started off by reading extracts from our prose and then talking about how our books came into being. An interesting motif was that all three of us used personal experiences in our past to shape the course of our narratives. ‘What if this had happened to us?’, I suspect, is a common approach used by new writers but I wonder the extent to which it is jettisoned in later books. It was wonderful to appear on a panel in a capacity as an author and thanks to everyone who got up at the crack of dawn to make the event. I really appreciate everyone’s support. The rest of the day’s panels that I attended were excellent and I particularly enjoyed Making it spooky – supernatural in crime fiction. I’m a big fan of ghost stores and the panelists James Oswald, Johan Theorin, Michael Sears and Alexandra Sokoloff did a good job of making their books sound suitably creepy. I hope to catch up reading all of these novelists soon. For lunch, some of us fans of the Icelandic TV series The Night Shift were given a treat when its director, Ragnar Bragason, joined us for lunch along with actress and writer Sólveig Pálsdóttir who appears in series two. It was wonderful to meet the creator of such an excellent TV series and he was later interviewed by Andy Lawrence whose write-up of the discussion will shortly appear on his website, Euro But Not Trash. The series is set in a petrol station on the outskirts of Reykjavik and some of us fans later managed a trip to the location in an homage to the series. Saturday evening involved dinner at the excellent Iðnó restaurant. 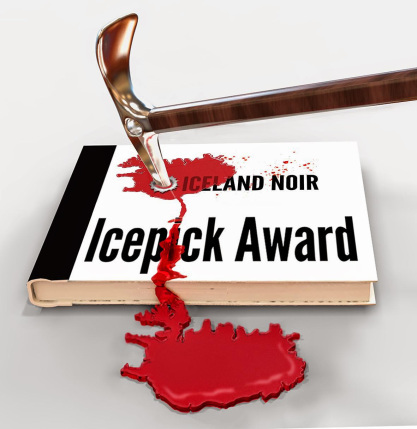 The IcePick Award was given to The Truth about the Harry Quebert Affair by Joel Dicker for the best crime novel translated into Icelandic. The book has divided critics. I enjoyed it and think it must have been a difficult choice to make in a very strong shortlist. More details of the award can be found at Mrs Peabody Investigates. On Sunday, a group of us took a coach with Yrsa Sigurðardóttir to locations featu red in her novels, in particular, My Soul to Take. It was a fascinating day, good to get out of Reykjavik and we paid an unexpected visit to a lava tube cave. The picture to the right contains lots of well-known writers. See if you can spot anyone. So, the end of an excellent event. 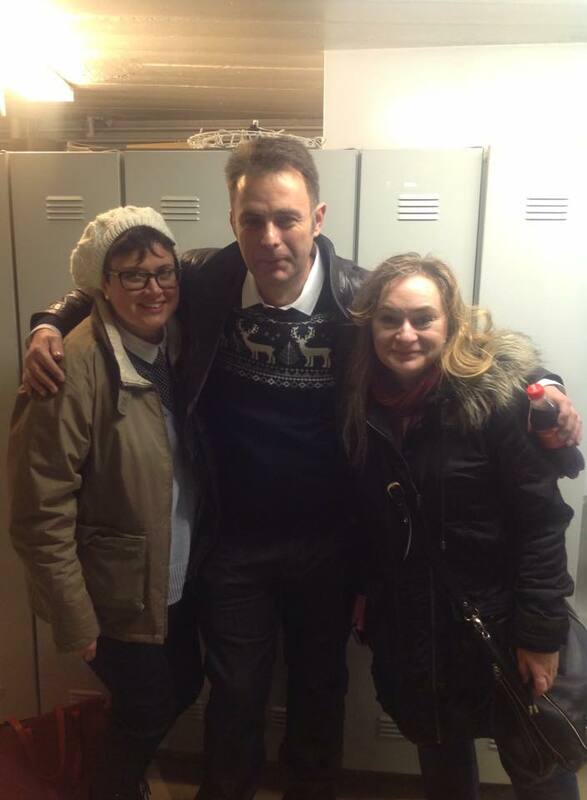 Thanks to Quentin Bates, Ragnar Jónasson, Yrsa Sigurðardóttir and Lilja Sigurðardóttir for all their had work to make it such a successful event. Next year will be Shetland Noir, followed by a return to Iceland in 2016. I can hardly wait. Thanks so much for the summing-up, Sarah! It really does sound like a fantastic time. And lucky you to get a chance to see some of Iceland beyond the capital. I’m sure it’s breathtaking. Thanks, Margot. It was certainly breathtaking. I had a fantastic time. Glad to hear you had such a wonderful time. *very jealous* I really must see if I can make it across to Iceland in 2016. Would be wonderful to meet you in real life! Your panel sounded interesting, also the one about “making it spooky.” Shetland Noir sounds very interesting, too. moment passed. I’m up all night reading it and can’t put it down. A problem. I have tasks to do, errands to run and I can see where my weekend is ending up. I’m already checking the library to see what other books it has by this writer. Are the stand-alones frightening? I read about one with snakes. I’m fascinated and repelled by this image…not a favorite here. And I’m reading late into the wee hours, so don’t want really scary reading. I love Sharon Bolton, Kathy. All the books I’ve read though have been part of a series featuring Lacey Flint. They’re all excellent and quite frightening! My book is coming out in the US on the 29th September. However, I’m going to be in NYC in Feb. I’ll drop you a line via e-mail. Would be nice to say hello! Absolutely Sara, how nice. Can’t wait to read your book. Oh, all of the Lacey Flint books are excellent and frightening! Wow, that is complicated. I think I want to read more but I’ll have to skip some paragraphs or sections as scared isn’t my emotion of choice in the wee hours. I start getting scared to take out the garbage — and I live in an apartment building with the compactor right next door.